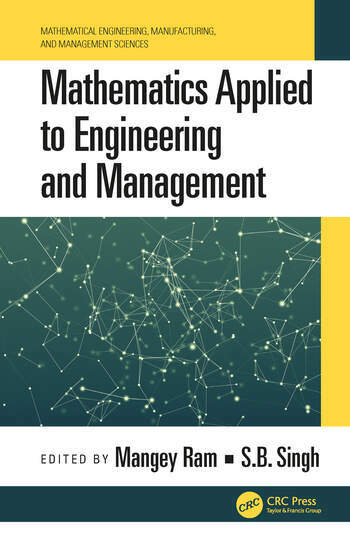 This book offers the latest research advances in the field of mathematics applications in engineering sciences and provides a reference with a theoretical and sound background, along with case studies. In recent years, mathematics has had an amazing growth in engineering sciences. It forms the common foundation of all engineering disciplines. 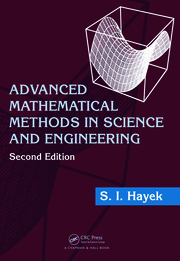 This new book provides a comprehensive range of mathematics applied to various fields of engineering for different tasks in fields such as civil engineering, structural engineering, computer science, electrical engineering, among others. 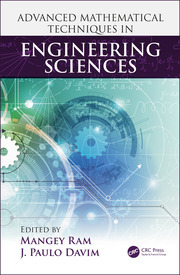 It offers articles that develop the applications of mathematics in engineering sciences, conveys the innovative research ideas, offers real-world utility of mathematics, and plays a significant role in the life of academics, practitioners, researchers, and industry leaders. Chapter 1 Geometric and Geometric-Like Processes and their Applications in Warranty Analysis. Chapter 2 Supervised Machine Learning: Application Example Using Random Forest in R. Chapter 3 Simulation optimization approach for cost reduction in multi-echelon inventory systems considering cooperation among retailers. Chapter 4 Applied Mathematic Technologies in Nonlinear Mechanics of Thin-Walled Constructions. Chapter 5 Some solutions of differential equations in engineering calculations. Chapter 6 Application of Transmuted Gumbel copula for Energy Modelling. Chapter 7 Differential Quadrature Method, a robust technique to solve differential equations. Chapter 8 The TSCSTFCF procedure for reliability demonstration. Chapter 9 Reliability evaluation of a MANET incorporating copula. Chapter 10 Hydromagnetic flow of copper-water nanofluid with different nanoparticle shapes towards a nonlinear stretchable plate. Chapter 11 Reliability and Sensitivity assessment of a Sugar mill through Mathematical Modeling. Dr. Mangey Ram received the Ph.D. degree major in Mathematics and minor in Computer Science from G. B. Pant University of Agriculture and Technology, Pantnagar, India. He has been a Faculty Member for around ten years and has taught several core courses in pure and applied mathematics at undergraduate, postgraduate, and doctorate levels. He is currently a Professor at Graphic Era (Deemed to be University), Dehradun, India. Before joining the Graphic Era, he was a Deputy Manager (Probationary Officer) with Syndicate Bank for a short period. He is Editor-in-Chief of International Journal of Mathematical, Engineering and Management Sciences and the Guest Editor & Member of the editorial board of various journals. He is a regular Reviewer for international journals, including IEEE, Elsevier, Springer, Emerald, John Wiley, Taylor & Francis and many other publishers. He has published 144 research publications in IEEE, Taylor & Francis, Springer, Elsevier, Emerald, World Scientific and many other national and international journals of repute and also presented his works at national and international conferences. His fields of research are reliability theory and applied mathematics. Dr. Ram is a Senior Member of the IEEE, life member of Operational Research Society of India, Society for Reliability Engineering, Quality and Operations Management in India, Indian Society of Industrial and Applied Mathematics, member of International Association of Engineers in Hong Kong, and Emerald Literati Network in the U.K. He has been a member of the organizing committee of a number of international and national conferences, seminars, and workshops. He has been conferred with "Young Scientist Award" by the Uttarakhand State Council for Science and Technology, Dehradun, in 2009. He has been awarded the "Best Faculty Award" in 2011; "Research Excellence Award" in 2015; and recently "Outstanding Researcher Award" in 2018 for his significant contribution in academics and research at Graphic Era (Deemed to be University, Dehradun, India). Dr. S. B. Singh is a Professor in the Department of Mathematics, Statistics and Computer Science, G. B. Pant University of Agriculture and Technology, Pantnagar, India. He has around 21 years of teaching and research experience to Undergraduate and Post Graduate students at different Engineering Colleges and University. Prof. Singh is a member of Indian Mathematical Society, Operations Research Society of India and National Society for Prevention of Blindness in India. He is a regular reviewer of many books and International/ National Journals. He has been a member of organizing committee of many international and national conferences and workshops. He is an Editor of the ‘Journal of Reliability and Statistical Studies’. He has authored and coauthored eight books on different courses of Applied/ Engineering Mathematics. He has been conferred with four national awards. He has published his research works at national and international journals of repute. His area of research is reliability theory, fuzzy logic, applied mathematics.